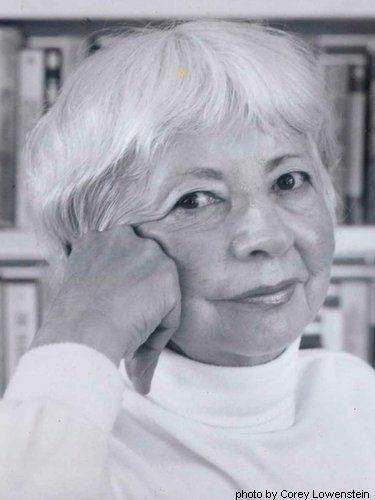 Dorothy Gilman (M), author of the Mrs Pollifax mystery series has passed away at the age of 88. In 2010 The Mystery Writers of America bestowed the honour of Grand Master on Dorothy Gilman recognizing her lifetime of achievement. Other illustrious recipients have included Agatha Christie (M), Elmore Leonard (M), and P.D. James (M). Thanks for this news. I was introduced to the sometimes-before-their-time political views of Mrs. Pollifax by a library patron, herself in her seventies or so at the time, who read Dorothy Gilman herself between bouts of translating Medieval Latin manuscripts. I better get to the library today before there's a run on these books! She is a very original author, whose works I appreciate. I wish I could've joined her memorial in New York, USA. To her family: your Mom & Grandma is much loved! Since i was 16 and found The Unexpected Mrs. Pollifax this series has been with me. I have read and reread every book, Mrs. Pollifax lifted me up every time i read them, from the darkest places. I came on here to thank Dorothy Gilman for the pleasure she provided only to find out i'm over a year to late. Well so be it, i am sad but her books will survive in my house. To her family, how wonderful she must have been, how much you must miss her. I think of her almost as if she had been Emily Pollifax. I read her book caravan @ 13-many years later in my 40's- I lived in the desert kingdom and had adventures of my own- I believe she inspired me to be brave and dare to do what I always wanted to do! Many thanks Dorothy!! I did not know that Ms. Gilman had passed away. I have just introduced her books to a family member who is recuperating from surgery and she can't put the book down. We will go through the entire list of books until we have read them all and we may start over and reread them several times. We will always be grateful that she was here for the time that she was and that she has left us a legacy of wonderful books to be enjoyed for years to come. I just introduced her books to a family member who is recuperating from surgery. She is so into the story she can't put the book down. We did not realize Ms.Gilman had passed away over 2 years ago, but her books will be treasured for many years to come by so many people all over the world.